Shabad Ramesh has been contesting from the Khairatabad Assembly constituency since 1992, and despite six unsuccessful attempts, he is determined this time to end his losing streak. The Khairatabad Assembly constituency in Hyderabad is perhaps the most important seat in the city as Telangana heads to the polls on December 7. Keeping this in mind, the Congress has fielded its chief spokesperson in the state, Dr Sravan Dasoju, while the Telangana Rashtra Samithi (TRS) has fielded local strongman Danam Nagender. The BJP is not too far behind either and has put up incumbent MLA Chintala Ramachandra Reddy. 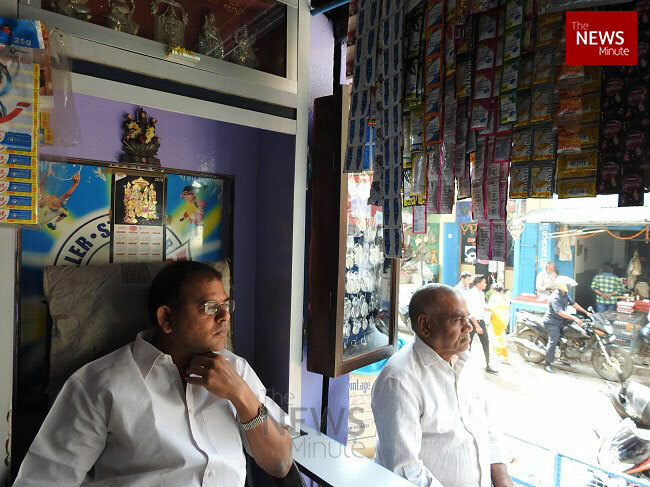 However, amidst these political giants, Shabad Ramesh, an owner of a 'Kirana shop' or grocery store, is determined to try his luck. Ramesh has been contesting from the constituency since 1992, with six unsuccessful attempts to his credit, yet is determined to try his luck for the seventh continuous time on December 7. This year as well, he filed his nomination with the Election Commission on the first day itself, on November 12. Speaking to TNM, the 47-year-old says that he was born in the same area and did his schooling in Ameerpet. "It was in 1992, after the death of my father, that I discontinued a Diploma in Civil Engineering that I was pursuing in Mahbubnagarm and took over the family business. 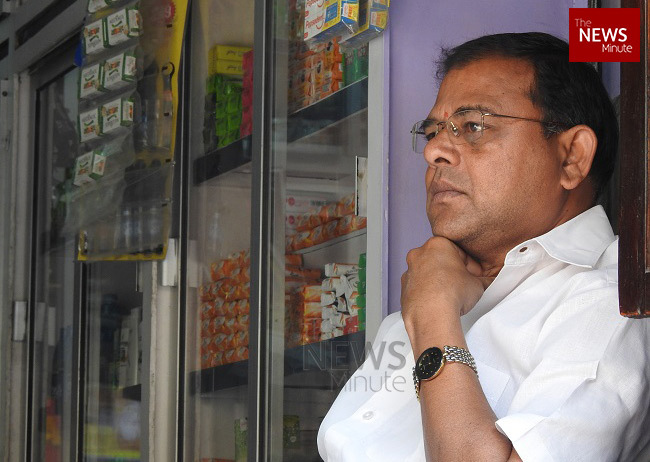 I have been running the shop since," Ramesh says. Ramesh says politics came to him at a young age as he was part of the National Students' Union of India (NSUI) and later also held a post in the Congress party. Asked about the issues in the constituency, Ramesh says, "There are the usual issues that most urban constituencies face, from roads to drainage systems to water, but perhaps the biggest challenge here is education." "Most government schools in the area teach in Telugu medium but we must move forward and adapt. I would make it a part of my manifesto to try and open as many English medium schools as I can in the constituency," he adds. Ramesh says that he is up against wealthy politicians and understands that his chances are tough. "Many people recognise me locally and they have been seeing my name on the ballot paper each time they are going. I have not even missed a bye-election. I have contested in 1994, 1999, 2004, 2008, 2009 and 2014. With EC bringing in a rule that our photos will also be placed next to our names on the ballot, I am confident that many will vote for me," he states. Speaking about his campaigning techniques, Ramesh says that he mainly relies on word of mouth. "Since I don't have a big budget like the other politicians, I also depend on pamphlets, where I print my manifesto and send them across in newspapers that go to houses in the constituency," he adds. Asked about his perseverance, Ramesh says, "There is no harm in trying. If I keep trying, I hope that someday, the people will give me a chance to serve them and do good to society." "I will try until my death and I'm hopeful about my future," he adds, with a wide smile.